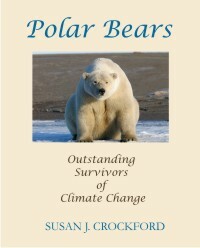 Would Derocher’s book be substantially different, despite his strident advocacy on display just last month in the press “Bleak future for polar bears, U of A scientists say” and in his most recent co-authored scientific paper (Stirling and Derocher 2012, now in print), that I discussed briefly in my first post? The quote on the back cover of the book, taken from the introduction, says nothing about global warming – an encouraging sign, I thought. Not quite so encouraging – but perhaps I will be pleasantly surprised, I thought. This feature makes Derocher’s book distinct from Stirling’s – criticisms of his book notwithstanding, I did not find a single alarming statement in the photo captions of Stirling’s book. What about the text of Derocher’s volume? Also in contrast to Stirling’s offering, there are virtually no references or author’s names cited throughout the book to back up Derocher’s statements. There is a list of references in the back but no way to associate any particular statement with the document it came from, like this one (pg. 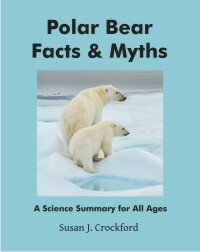 219): “There are tipping points for any population, and some studies predict that polar bear mortality could spike in a single year and drive a population to desperately low levels.” [my bold]. All of the doom and gloom predictions about the future of sea ice are made as statements of fact. Since Derocher is not a climate scientist or an Arctic sea ice expert, even non-scientist readers might expect to see at least a mention of another scientist’s name within the text, or a publication, to back up his claims. He does with some of his historical facts in Chapter 4, why not elsewhere? Not even the IPCC gets a mention in the text in regards to global warming – at least, not that I could find. 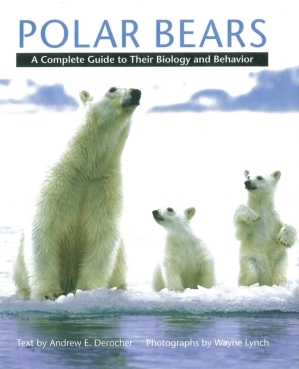 A student or curious reader looking to follow up on a particular topic is going to find this book a frustrating springboard. Derocher’s writing style discourages further exploration, which makes it unlikely this book will inspire a budding biologist. 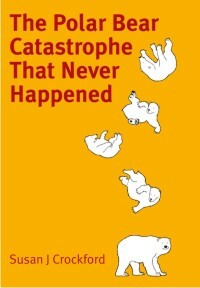 But I guess that’s the point: this book is not meant to inspire future scientists but future advocates. Confirmation of this conclusion is found on the last two pages of the book. So, a different style aimed at a less sophisticated segment of the reading public but ultimately, Derocher’s book is not so different from Stirling’s after all. The cursory reader who views only the pictures of a book are part of Derocher’s target audience, while Stirling aimed rather higher. Both end with emotional appeals for readers to be advocates, not biologists. This entry was posted in Book review and tagged advocacy, book review, Derocher, Stirling. Bookmark the permalink.